Two children can travel free with each adult who has a valid Luas adult ticket during February, March and April. 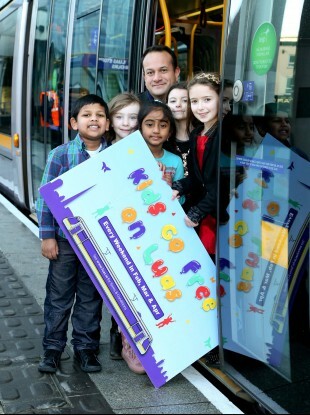 CHILDREN CAN TRAVEL for free on the Luas at weekends during February, March and April. For the first time, two children can travel free with each adult who has a valid Luas adult ticket. Luas carried around 29.4 million passengers in 2012 and the National Transport Authority hope this offer will encourage even more customers onto one of Europe’s most successful light rail systems. The offer will be available to the visitors of The Gathering and will also be in place for the St Patrick’s Day celebrations and the Easter holidays. With the Gathering Ireland 2013 already under way, it’s also likely to be popular with tourists and I will be encouraging the tourism authorities to promote it with visitors. Email “Kids travel free on the Luas for next three months”. Feedback on “Kids travel free on the Luas for next three months”.